more about our available apartments. Our leasing office can be found at 3418 Sansom street, conveniently located between the University of Pennsylvania and Drexel University and is a short walk from Amtrak’s 30th Street Station and Septa blue and green line stops. 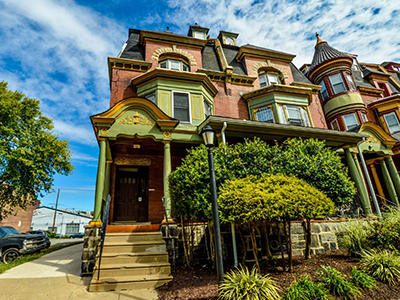 Our office manages tours for inquiring parties at all our University City properties. We offer tours between the hours of 11 am and 4:30 pm Monday through Friday and by appointment on Saturdays. To guarantee that our representatives will be available for you at a convenient time, it's best to schedule your tours in advance. Give us a call during regular office hours and our representatives can discuss available apartments, schedule a showing or answer any other questions you may have about our properties. The Leasing Office is available for current residents to discuss account details, maintenance requests or any other questions you might have about your current apartment with University City Housing.